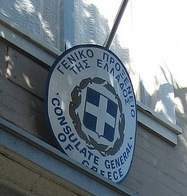 All Greek consulate and embassy websites (greekembassy.org) in the United States were transferred to the Greek Ministry of Foreign Affairs website in Greece (mfa.gr) on January 1, 2009. This means many sections are empty and no longer in English, or information may not be edited or updated. The Washington DC website had the most complete information, but its content is unfortunately outdated since the changeover.